As we dive into a new calendar year, I feel the renewed energy of my peers. It’s almost palpable. The field of human resources is changing rapidly, becoming more essential than ever. I see some massive companies making big strides in the way they manage human capital. Recently, I had the good fortune to participate in some lively conversations at several board events and CHRO gatherings. Listening to my peers talk about what is foremost in their minds always inspires me. As I look to my 2019 priorities, I am influenced by those conversations and the changes I see occurring. I thought it might be interesting to share some of those hot topics with you as you plan your year. The overarching theme is navigating volatility and driving growth. CHROs are involved in the business equation as never before. I am reminded of something a friend shared with me-—a line from the Talmud: “Every blade of grass has its angel that bends over it and whispers, ‘Grow, grow.’ ” In 2019, CHROs have the opportunity to be that angel for the people they serve. Last year saw roughly 41,000 M&A transactions worldwide. Growth, whether organic or inorganic, is the end goal as never before. I have no doubt some of you reading this are in the throes of organizational shifts due to your company’s M&A activity. That means culture and teaming become more important than ever—and both fall directly in the CHRO wheelhouse. As a result, I believe we will begin to answer some complex questions in 2019. How do we preserve an acquired culture of innovation, seeding its entrepreneurial spirit into our legacy organizations? How do we protect an acquired agile culture from the red tape that can quash it? How do we make the formation of high-performing teams a science, from shop floor to board level? An M&A deal can appear to have everything going for it, but if two cultures cannot avoid a seismic collision, all may be lost. As Peter Drucker said: “Culture eats strategy for breakfast.” Get it right and we contribute to growth in a way no other C-suite officer can. I find that incredibly exciting. Whether it’s developing high-performing teams or new-skilling employees to prepare them for a work world of humans and machines, technology advances will continue to make our jobs interesting in 2019. 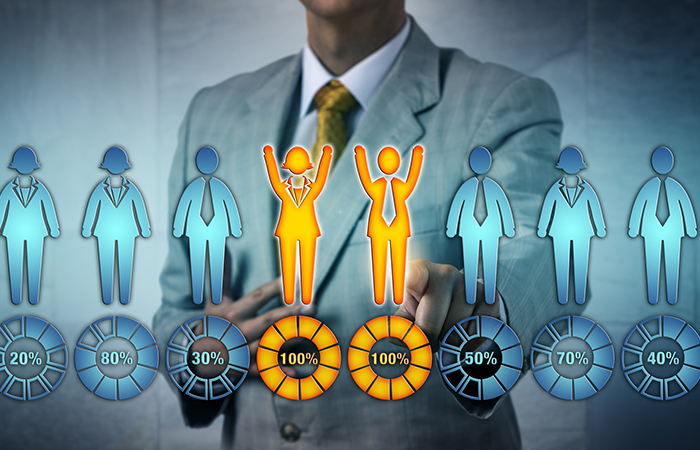 Many of us, in pursuit of high-performing teams, are looking at the use of workforce data to make them more probable. With advances in wearables, Artificial Intelligence and analytics, we have more worker data potential than ever. How do we turn that into actionable insights? And how do we do it in a way that respects our employees’ privacy? When we use employee data responsibly and with permission, we can do everything from increase efficiency to break old paradigms for true innovation. For example, Silicon Valley’s Juniper Networks used workforce science to determine where its best employees came from—and where those who left the company went, to better map career tracks and improve hiring/retention. The CHRO’s team will need to walk a fine line between advocating for corporate growth—being a good team player—and championing employee privacy rights. It’s a tricky area, one which has been generating conversation at the conferences and meetings I’ve been attending lately. I could go on, of course. Myriad topics will occupy us this year. But, these two topics are so prevalent, so timely, that I think they are enough for now. These are fodder for board-level conversation. Let’s introduce them proactively to our boards. I hope you and I will continue this conversation throughout 2019—so please, email me your ideas and concerns. We’ll challenge each other to new heights. As I mentioned at the outset of this column, we have a chance to create some good that doesn’t exist yet. HR technology has never been more important—an idea that will be front and center at the HR Technology Conference. Companies are not hiring to fill new jobs these days. Instead, they're mostly looking to backfill existing positions that people have vacated. Learn about the characteristics great recruiting professionals possess from talent-acquisition expert, Tim Sackett.